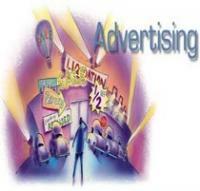 In 21st century, advertising is the most important weapon to market any product or service. Adverting companies use multifaceted talent and creative minds to carry out successful campaigns. Collecting and using information of customers as well as the competitors of your customer can create a huge advantage to take the competitive advantage. We at xCess manpower know that it is key activities for potential business and equally important as capital manpower, planning and organization. Our young, dynamic and energetic team closely work with the client and fill the gap of manpower need.